Consultation Services – Stay competitive in a value-based healthcare environment with our expert peer consultation that is tailored to meet your needs. Reaching Recovery – Reaching Recovery offers consultation services and outcome measurement tools to community mental health centers nationwide. Colorado Daylight Partnership – Advancing access to behavioral health care services for deaf and hard of hearing Coloradans. Faith & Spiritual Wellness – The Mental Health Center of Denver recognizes that sensitive, active support of spiritual life can enhance Well-Being and recovery. Suicide Prevention – If you are in crisis or need help dealing with one, call 1-844-493-TALK (8255) to speak to a trained professional, or visit coloradocrisisservices.org. Mental Health First Aid – We offer a variety of Mental Health First Aid courses which prepares members of the public to provide Mental Health First Aid to those in need. MyStrength – Take charge of your mental health and Well-Being from the comfort of your home with MyStrenth. This engaging and useful online tool is free! Find 24/7 in-person crisis support at any walk-in centers. Click here for more information. 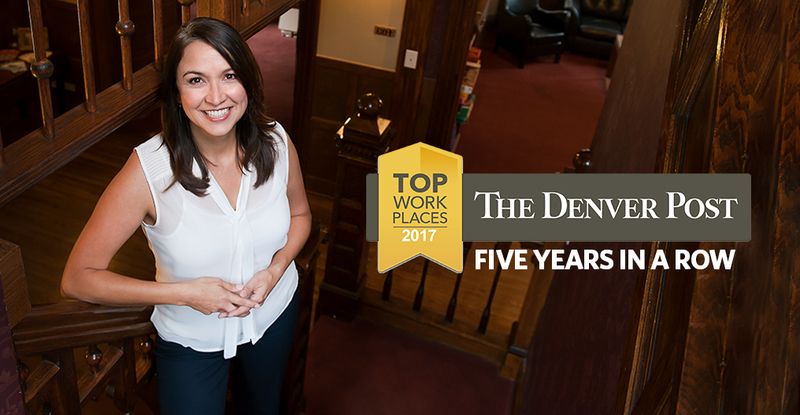 THE MENTAL HEALTH CENTER OF DENVER continues to be driven by our mission statement of enriching lives and minds by focusing on strengths and well-being. Our efforts to increase access to everyone in Denver who needs it is transforming how mental health care is delivered in our community. Our 2017 Report to the Community is an opportunity to share our accomplishments and celebrate the support of our donors, employees, partners, community and those we serve. WE CELEBRATED THE GRAND OPENING of our newest permanent supportive housing, Sanderson Apartments. Community leaders came out to support these apartment homes that combine pioneering design principles and financing to provide housing and supportive services to those experiencing homelessness. Read more. Denver Mayor Michael B. Hancock speaks at the Sanderson Apartments Grand Opening. DAHLIA CAMPUS FOR HEALTH & WELL-BEING was recognized by the International Association for Public Participation (IAP2) with the organization's International Core Values Award presented in Melbourne, Australia. Dahlia Campus won Project of the Year for demonstrating excellence in public engagement before and during the launch of the campus in early 2016. Check out a feature story from PBS NewsHour to learn more about Dahlia Campus. MORE THAN 2,000 pounds of greens were grown and sold through food boxes and Dahlia Campus farmers markets. 1,200 CATFISH and TILAPIA are living in our aquaponics greenhouse system. MORE THAN 900 FOOD BOXES were packed with fresh produce grown at Dahlia Campus. Of those, 118 boxes were donated to help feed children and families. WE EMPLOY 750 INDIVIDUALS, in addition to 50 vocational employees (people we serve who are returning to work through supported employment). when it comes to medications through pharmacogenetics – performing a simple genetic test that can tell our prescribing psychiatrists if a medication is likely to be tolerated or not. Nearly 850 INDIVIDUALS were engaged by our Co-Responder Program. The program pairs Denver police officers with one of our clinicians. The goal is to connect people in crisis to services rather than jail. Of those individuals, 37% were connected to detox, crisis services, a hospital or other services; 34% were enrolled in our services; and 3% were arrested. NEARLY 500 YOUNG ADULTS received prevention, clinical and psychiatric rehab services at Emerson St. for Teens & Young Adults. Emerson St. started a program to serve young people who are experiencing early psychosis. The program is based on a proven model for intervention. A coordinated specialty care team provides support for young people and their families. American Sign Language (ASL). Learn More. James Artus and Martina Milan, Deaf Peer Mentors. Darrin Kessler and Alison Dozier, our two newest bilingual Mental Health First Aid instructors. WE TRAINED NEARLY 300 COMMUNITY MEMBERS in Mental Health First Aid. We offer Mental Health First Aid classes for adults, adults assisting youth and special classes delivered in Spanish and American Sign Language. This training teaches skills to respond to the signs of mental health and substance use disorders. With 13 instructors, we offer classes twice a month as well as at businesses, faith communities and civic organizations. 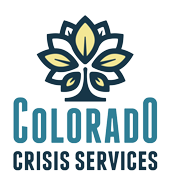 THE MENTAL HEALTH CENTER OF DENVER partners with Colorado Crisis Services to provide confidential and immediate support to someone experiencing a mental health, emotional or substance use issue. We provide 24-hour walk-in services, respite care and mobile crisis services to individuals as part of the statewide crisis network of care. Read more. 4,440 INDIVIDUALS received immediate crisis support at Denver's Crisis Walk-In Center. If you are in crisis or need help dealing with one, call 1-844-493-TALK (8255) to speak to a trained professional (toll free) or text TALK to 38255. Click here for a list of walk-in centers. well-being. Anthony's story showcases how housing and 2Succeed culinary arts training helped him get back on track. Nearly 3,000 individuals were enrolled in 2Succeed in Education. Nearly another 500 individuals were assisted through 2Succeed in Employment. InSHAPE© IS A WEIGHT LOSS PROGRAM for the people we serve to work with a certified personal trainer once a week in a community fitness facility. We partner with Denver Parks and Recreation and utilize several parks within the city of Denver. We currently have 25 participants who complete quarterly assessments. One individual has lost 30 lbs, another has quit smoking, and other participants have come off some of their medications, feel more energetic and sleep better. 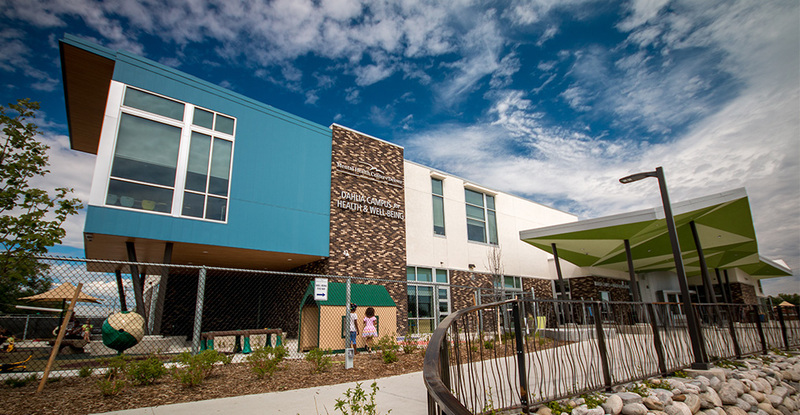 Dahlia Campus for Health & Well-Being was selected as the winner of Denver Mayor Michael B. Hancock's design award in the Building Well and Living Well category. Every year, the Mental Health Center of Denver holds a meeting for all staff members to celebrate accomplishments throughout the past year and discuss future plans. We also celebrate career milestones, highlighting employees who have been with the organization for 5, 10, 15, 20, 25 and 30 years. The Mental Health Center of Denver hosted a press conference at the Recovery Center. Congresswoman Diana DeGette, sponsor of the 21st Century Cures Act, spoke in support of the act that boosts funding for medical research, eases the development and approval of experimental treatments and reforms federal policy on mental health care. The Mental Health Center of Denver held a Well-Being Expo at Infinity Park in the spring. About 250 community members attended the event. Breakout sessions included a faith and spirituality panel, mind-body exercises, healthy eating, money management, stress relief, music, art and poetry. In the spring, Dahlia Campus for Health & Well-Being hosted a farm festival to kick off the growing season. Nearly 500 Northeast Park Hill residents enjoyed food, music and gardening activities at the campus. Voz y Corazón program hosted its annual art show and benefit attended by nearly 100 community members. The suicide prevention program uses art to provide culturally sensitive mentoring and suicide prevention services to youth. The Mental Health Center of Denver hosts an annual staff celebration to thank employees for their dedication. This year, a picnic with summer games and activities was held at Park Hill Golf Club. Dahlia Campus for Health & Well-Being held two fish fries to mark the opening and closing of the farmer's market season. The annual fish fry is a community celebration for the Northeast Park Hill neighborhood. In October, a group of Board members and staff from the Mental Health Center of Denver joined hundreds of others from behavioral health organizations across the country in Washington, DC, to advocate on behalf of the people we serve. Emerson St. for Teens & Young Adults held its second annual Community Jam. This event welcomes community members in to learn about the work we do with young people in the community. People we serve and staff members visited Congresswoman Diana DeGette's office to advocate for the Affordable Care Act. We held our annual Gifts of Hope Fundraising Breakfast at Infinity Park, drawing nearly 600 attendees in the room and additional guests online through a web stream of the event. The theme Today, Tomorrow...Together highlighted our organization's innovative programs that enhance the well-being of our community. We raised more than $150,000 in one hour. This is the highest amount of funds brought in by this annual event since it launched 12 years ago. For Colorado Gives Day, we celebrated the Art of Giving by showcasing artists who utilize our services at 2Succeed in Education & Employment. We raised nearly $20,000 from 97 donors in one day.